I am in no way a professional make up artist, but my make up and my collection today is nothing like it was a year ago. I’m going to talk you through a few starter products which I didn’t know I about then, that would’ve saved me lots of money! 1. 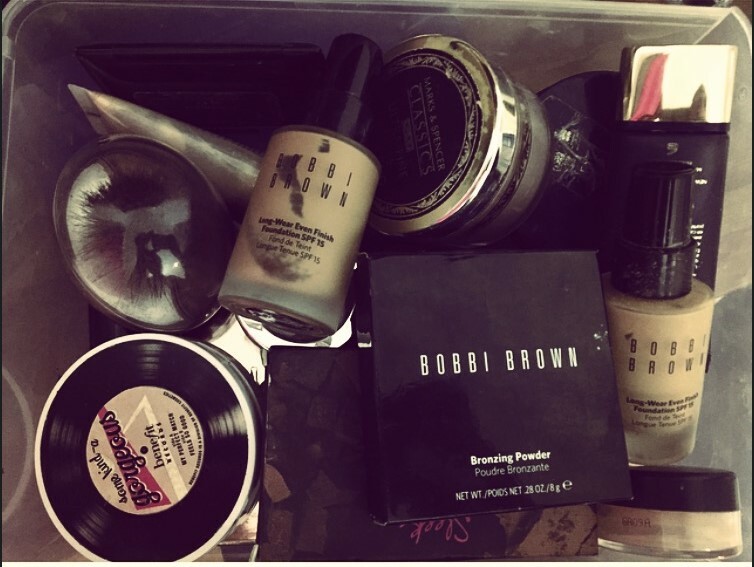 Foundation – Foundation is one of my most important make up products. It’s literally the one thing that I cannot leave the house without wearing. I started wearing MAC foundation as my first foundation and I didn’t take to it very well. I have oily, sensitive skin and so MAC foundations just didn’t sit right with is. I’ve learnt the key to foundation is learning what your skin type is and testing drug store foundations. I’ve now learnt that in a foundation, I look for a full coverage, matte oil free foundation so I know what I’m looking for when I set out to look for a new foundation. A drug store foundation which fit that criteria for me is the L’oreal Infallible 24hr. 2. Concealer – Again with concealer, the first one I ever brought was the Estee Lauder Double Wear conceal which really did me no favours. I remember being asked whether I wanted it to match my skin shade or want it lighter. It sounded ridiculous to me that I would want something that is lighter than my skin shade, but in hindsight, I realise why this was even something to consider. That rookie mistake cost me £21.50, and I wished I played around with a drug store version first. One that I would recommend would be the Maybelline Fit Me Concealer. 3. Mascara – I love the Benefit They’re Real Mascara, but one that works just as well for me is the Maybelline Volum’ Express Colossal Waterproof Mascara. There are so many mascaras offered at boots, so read up and try different ones, it’s amazing what you can find! 4. Eyeliner – I’m a big fan of the new Benefit They’re Real Push Up Liner, but one I have been using for the longest time is the Maybelline Eye Studio Lasting Drama Gel Eyeliner. It’s long lasting, pigmented and doesn’t smudge, what more could you want? 5. Lipstick – I am a MAC lipstick girl without a doubt, but I also think brands such as Revlon, Maybelline, Bourjois have some of the best lipsticks I’ve tried, and perfect for a starting collection! 6. Make Up Revolution – Although I haven’t specified a specific product, Make up Revolution are an up and coming drug store brand. I can’t express how much I love their products and they’re at such an amazing price! I use their bronzer which is only £4, and a similar one can be found in Body Shop for £13. I recently purchased the Flawless Palette with 32 shades for only £8, and some of their other palettes are said to be dupes of Urban Decay Eyeshadow Palettes. Also, I’ve made a change to my blog recently and decided to open up my life a bit more to you so I’ve added some of my social media links! I made that mistake with concealers before. Have you ever try L.A Girl Pro Concealers before? They are amazing and super cheap. I’ve been wanting to try some products from Makeup Revolution for awhile now. I’ve heard such good things about them and their super affordable. I’ve heard of them but I’ve never tried them. I’ve heard lots about them so I might give them a try next! Being a student, make up Revolution have saved my bank account! It really is worth trying out things from there.